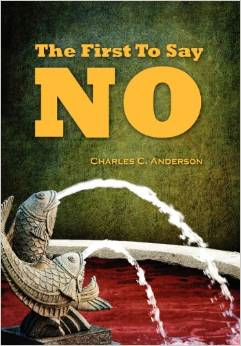 I was quickly drawn into this read by author Charles C. Anderson. The story, if you will, is set in Parkview Hospital emergency department in Virginia. It is here that we meet Dr.Kate Taylor as her story and so many others begin to unravel. It seems many of the doctors and nurses are being rapped and other acts of violence are occurring that are not being dealt with. People come in and use the hospital to ‘get fixed up’ so they can go back out and do their drugs, stealing and killing, all at other’s expense. Kate lost her father at a young age and the one tender memory she had was with him at the local park. Now that memory has been tarnished by a gang called the Plagues who are overtaking the city. The danger of going to the park, or anywhere alone, is wide spread. This gang kills, steals and rapes at will, not being stopped, even by the local police, who are now on their payroll. In this story Kate decides enough is enough and gathers those she can trust to fight back. She does not have the backing of the hospital, or the police, but she has behind her what is right. I was amazed at this read and upset. I suppose I do not want to think that there are so many who will turn their heads not to stop evil just for the mighty dollar. I was also upset to finally understand how much of our nations finances are being thrown away just to help heal druggies who will not accept help to stop their habit. There are so many needy elderly people that are not receiving help or just the poor that are turned away, this truly is not fair and should be stopped. This is a great book, although troubling. The truth that is brought forth should be read by every American. Thank you, Dr. Anderson. Previous Previous post: Self-Publishing & Merchandising : Mugs & notepads & tee-shirts, oh my!